Back in 2014, I had an internship in California. 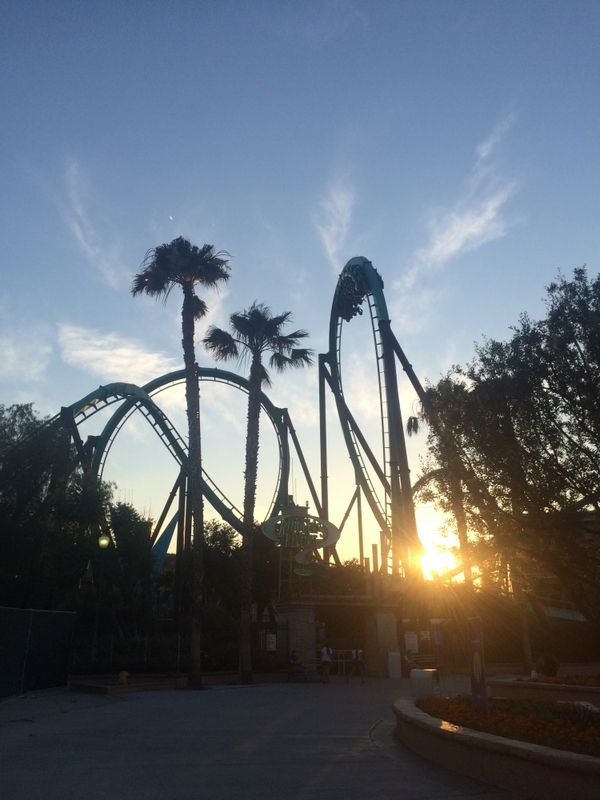 Like any good coaster enthusiast, I used the internship as an opportunity to visit all the major parks in California (2014 Photo TR). My favorites were down in Southern California with Disneyland being one of my favorite parks ever. In 2015, I was able to make a return trip to Disneyland since I had a work trip nearby, but had to miss Knott's and Magic Mountain. 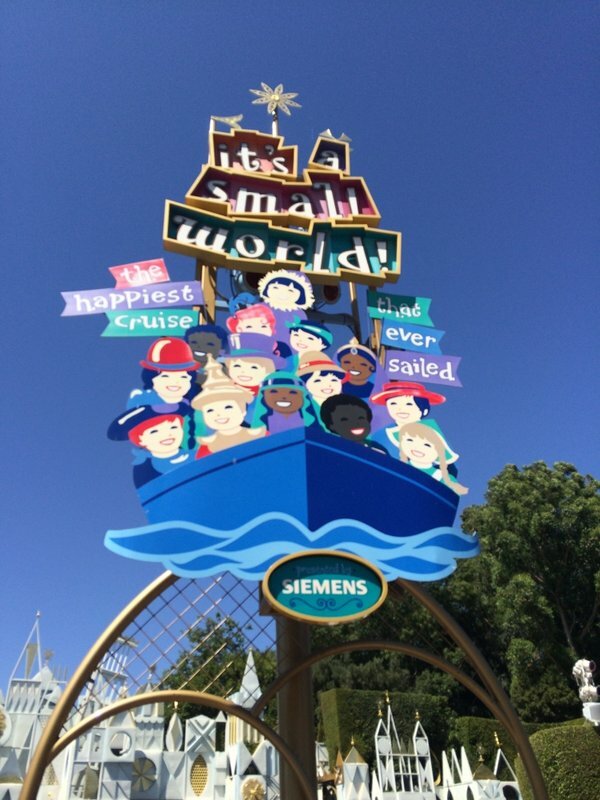 In 2016, I planned a return trip spurred by free Disneyland tickets. Back in 2015, I booked bus tickets on the Disneyland Express bus to take me from LAX to Disneyland. At the time my bus was supposed to pick me up, a short white bus came saying they were the Disneyland Express. Turns out they were a counterfeit service but thankfully they brought me to the park (just charged a tip). I found out when I got to Disneyland the real bus was full-sized and covered in Disney characters. I let Disneyland know (primarily to save tourists like me who didn't look at the bus beforehand) and they were appreciate and provided free park tickets to return. Flash forward to 2016 and I was back at Disneyland with my sister. It was her first time there (she had been to Walt Disney World 3 times) and she loved it as well. We went at the end of June during the 100 degree heat wave, but the boon of indoor attractions made the heat less of a concern. After experiencing the Magic Bands at Walt Disney World in 2015, I have to say that having the paper fastpasses was a nice change. Since Disneyland has more rides per park, it was nice being able to stockpile fastpasses faster. I was able to use my favorite strategy where I got a Fastpass at Disneyland, grab one at California Adventure, use the Disneyland Fastpass, use the California Adventure Fastpass, and repeat. I like both systems, but think the paper ones are better for Disneyland since my visits are shorter (2 days versus a week at Disney World). For Disney World, the bands work well since the rides are scattered across 4 parks instead of 2. What was new for my visit? 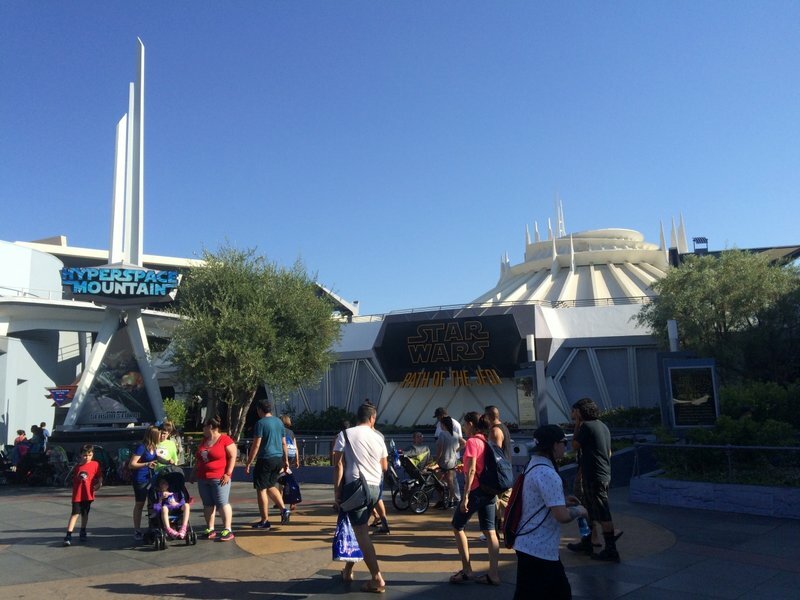 The two biggest things were the 60th anniversary theming and Hyperspace Mountain. 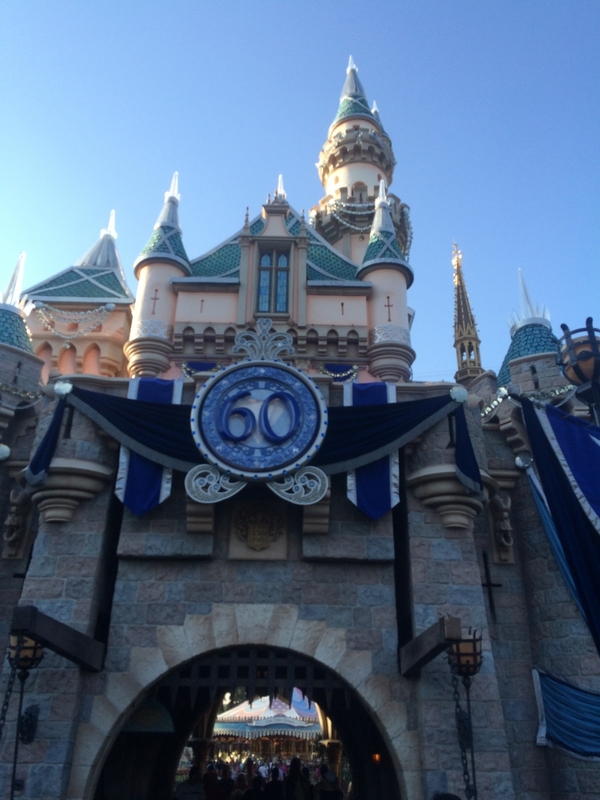 I thought the castle looked great with the banner. But the bigger addition was Hyperspace Mountain. I enjoyed the experience since it was definitely different than the normal Space Mountain with the well-timed video screens, Star Wars music, and an actual story line. Would I take it over the regular Space Mountain. Personally, no. I really like Michael Giacchino's score (one of my most played songs on my iPod) and the added darkness of the standard ride, but both versions are highly enjoyable. Unfortunately Fantasmic wasn't open for the 2nd time in my three visits, but there was more than enough to do during my visit. Onto the photos! The castle looks big from this angle! Despite it's small size, the castle does look quite nice. Hyperspace Mountain was a cool overlay to experience, but I personally like the standard version better. Both are great though. 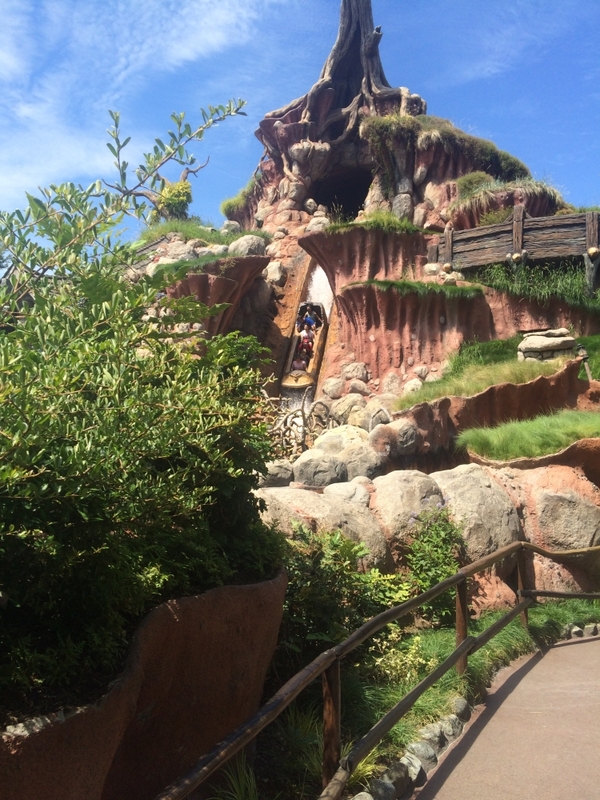 Splash Mountain is great as always. I like the drop on this one better than WDW's. Continuing the tour de mountain, here's Big Thunder. I love the finale on this one. I love nothing on this one. 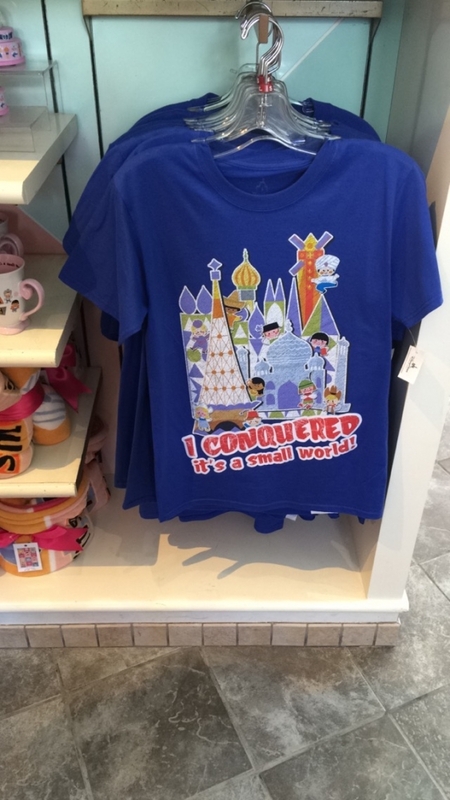 Ok this shirt is pretty awesome! 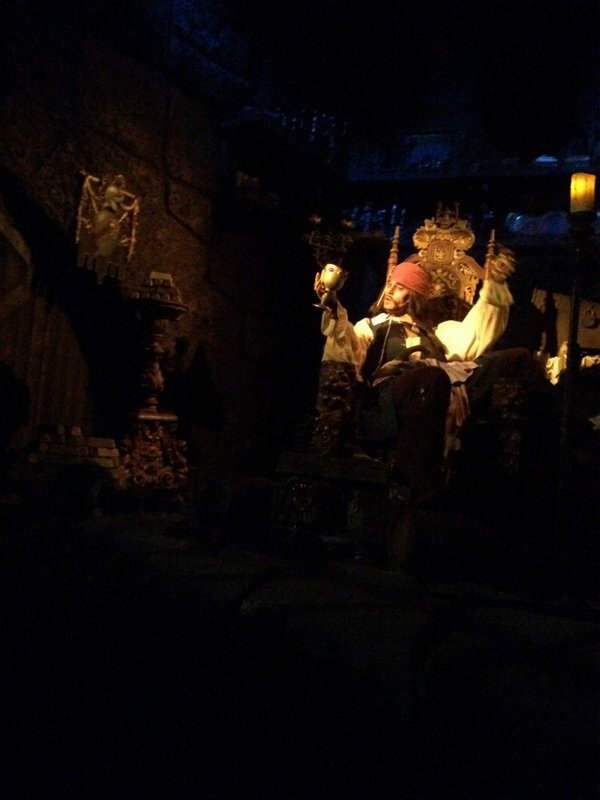 Hi Captain Jack. I still can't believe how long this ride is. 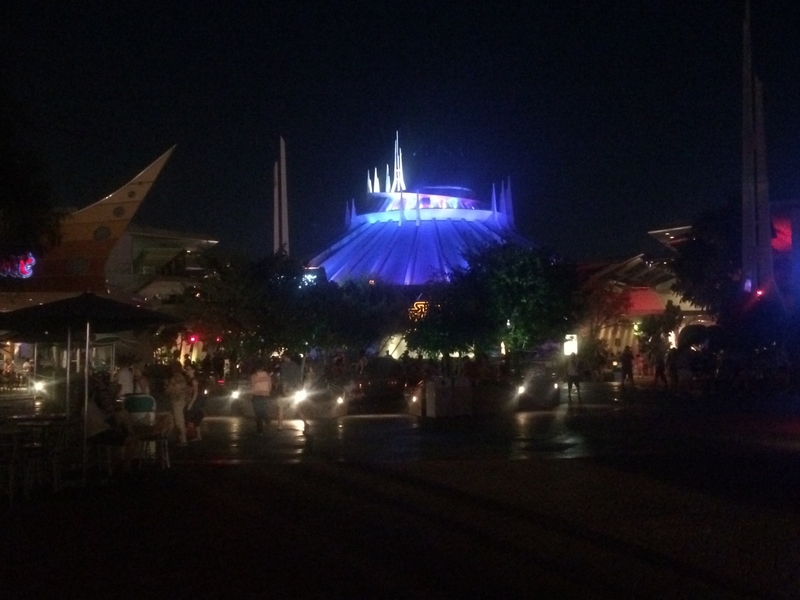 There's something special walking through Tomorrowland at night. This may be the best parade float ever. Last edited by Canobie Coaster on Mon Mar 06, 2017 6:40 pm. ^ I believe Guardians is planning on opening in the summer. 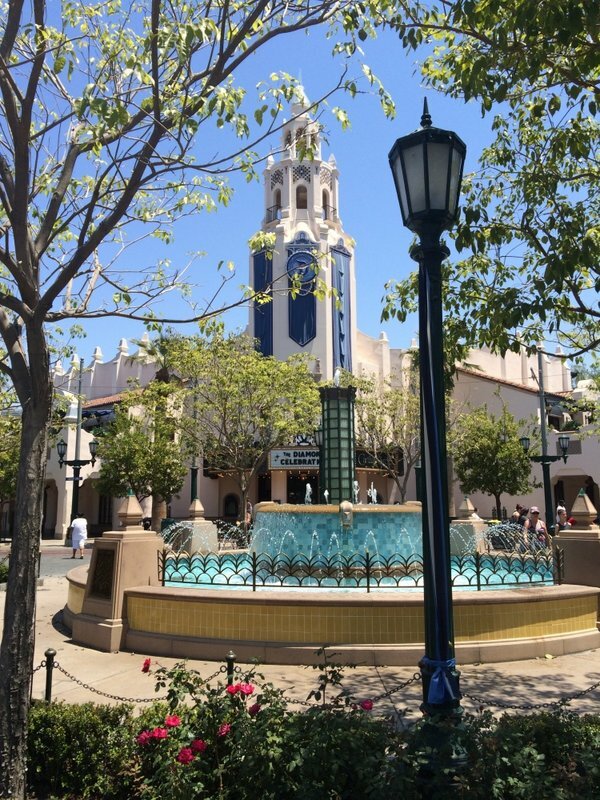 I'm really interested to see how Disney themes the tower to a movie I enjoyed, but I'm skeptical it will work as well as the Twilight Zone theming. 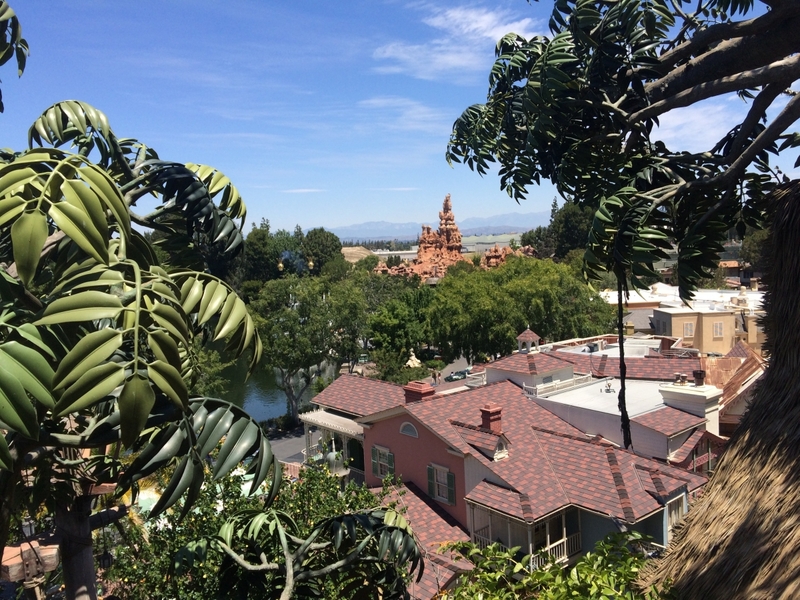 While not as awesome as Walt's original park, I really do like California Adventure. 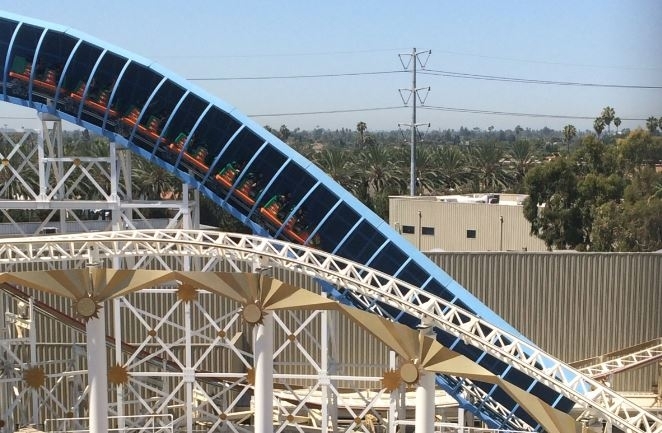 I was never there before the billion dollar overhaul so I can't comment on the park back then, but I really like the oddball mix of rides and attractions that this park has. The park is very top-heavy in its attractions and a good compliment to the park across the street. 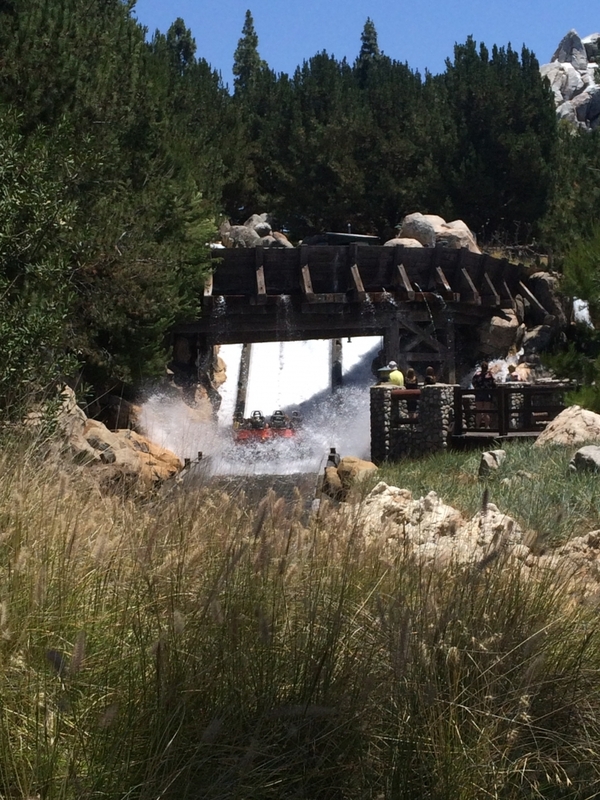 There were three new things for me during my visit- Grizzly River Rapids, Soarin' Around the World, and Olaf. 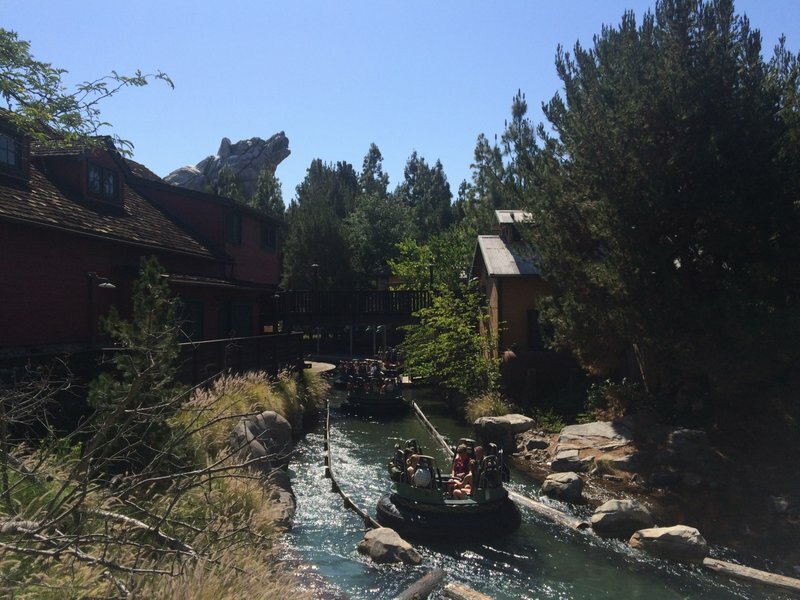 When I visited the park in May 2014 and March 2015, Grizzly River Rapids was closed both times despite temperatures exceeding 90 degrees. 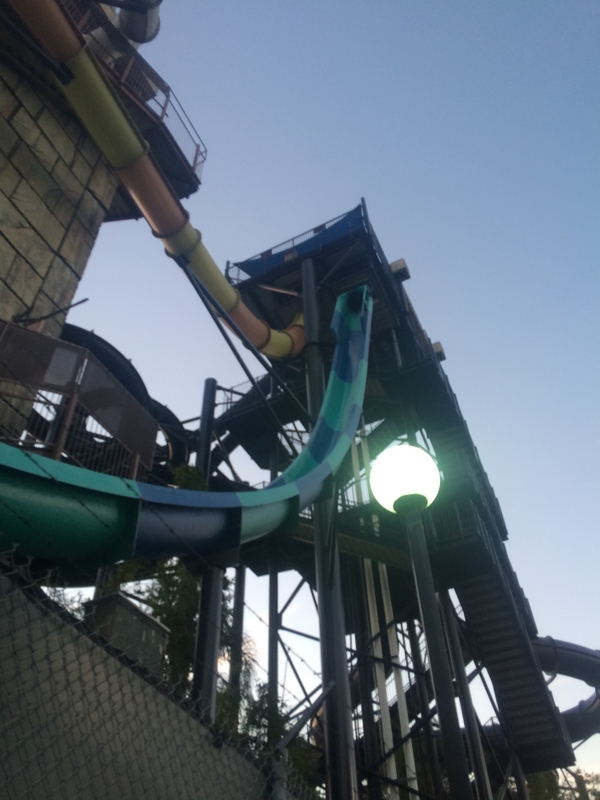 Now I know rides have off-season maintenance schedules, but coming from New England where 90 degree days constitute a heat wave, it's still baffling to me to see a water ride like that closed with those temperatures. Anyway what did I think now that I got to actually ride it? 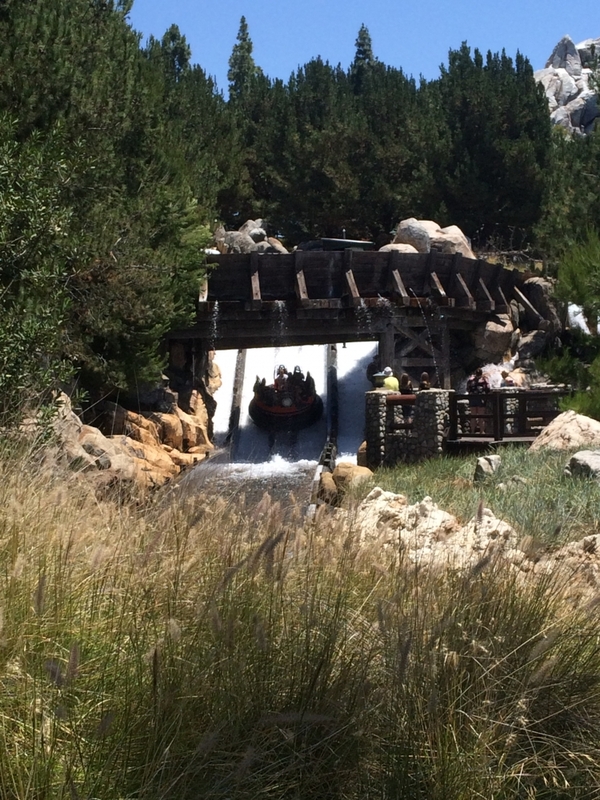 I really did like Grizzly River Rapids. The ride was very well landscaped around the mountain and the two drops were great, especially the last one with the spinners. The two drops combined with the array of rapids basically guaranteed everyone would get wet and at least half soaked. Compare that to Kali River Rapids where only the 2 people who go down the drop backwards get wet. 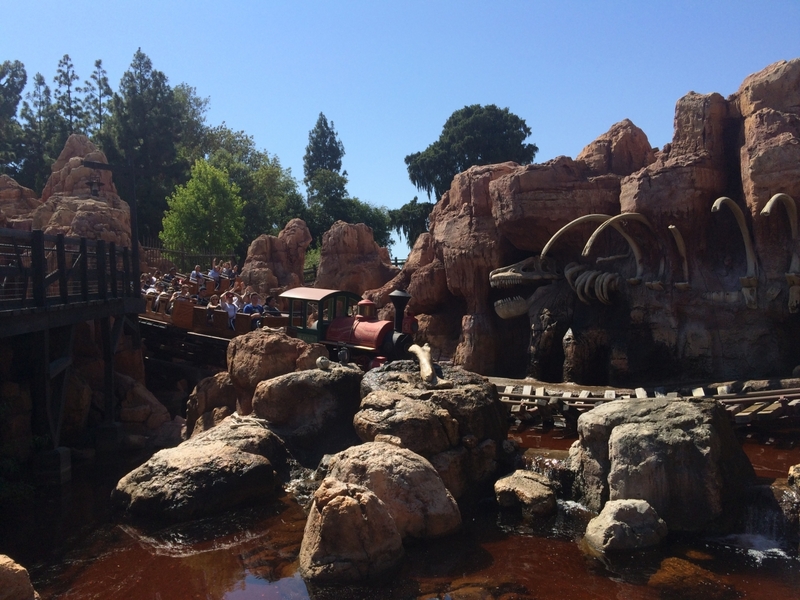 I used the single rider line several times to ride this with temperatures in triple digits. I was also there for the first weekend of Soarin' Around the World. That wasn't intentional, rather it just happened that way. For someone who doesn't ride Soarin' too too often, I didn't notice all that big of a change. The ride was great, but I can see the change much more refreshing for someone who has ridden it nonstop since the ride opened. If you liked the original Soarin', you'd definitely like the new one as well. 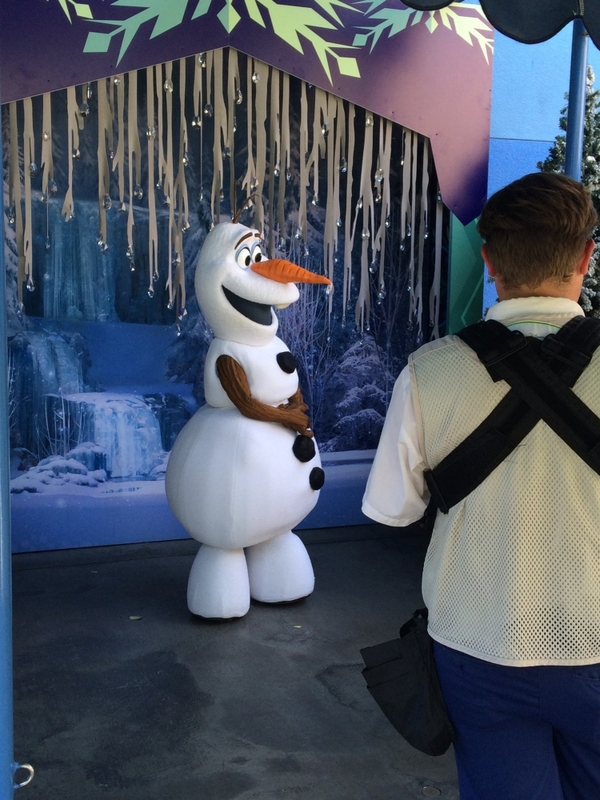 Then seeing a full-size Olaf character was nice since I enjoy the movie Frozen and hadn't seen the character before. Thankfully Olaf didn't melt in the heat and Frozen fever wasn't in full force, so the line was only 5 minutes. Other than that, I rode my favorites. I got several rides on the Tower of Terror (RIP Twilight Zone), California Screamin', and Radiator Springs Racers. All three are great and it's hard to pick a favorite among them. Onto the photos, many of which were taken from the Ferris wheel and had the bars cropped out (which is why they're all sized differently). Artsy shot of the entry fountain. The spinning drop was excellent. No one knew who would get soaked. Much better than Kali River Rapids. This one had more than just a single drop. 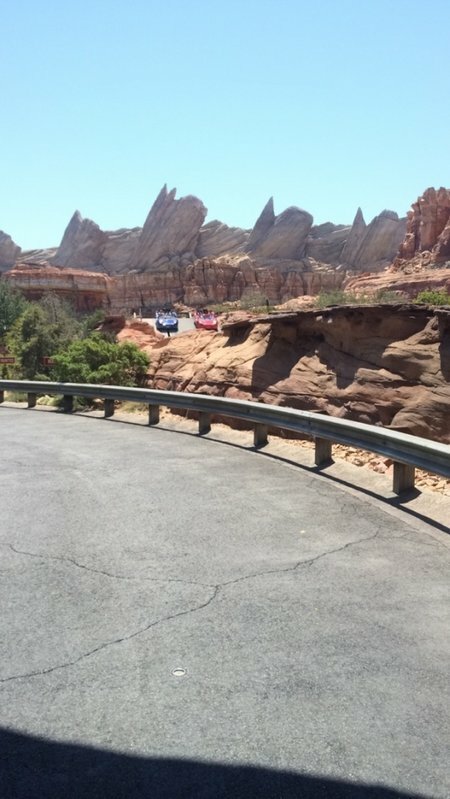 Radiator Springs Racers is awesome, but it just reminded me Cars 3 is coming out soon which isn't awesome. Let's begin the Ferris wheel shots. 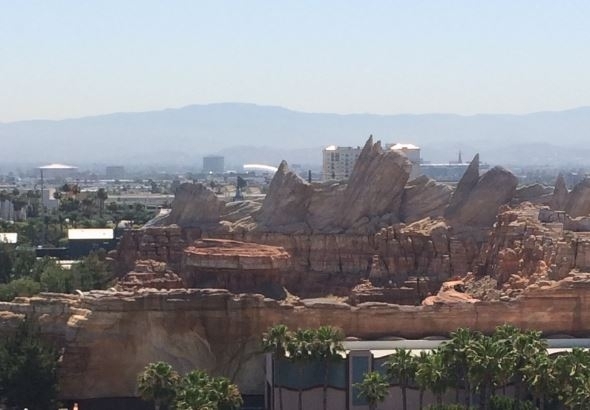 The beautiful Cars Land doesn't seem to look right with the city behind it. 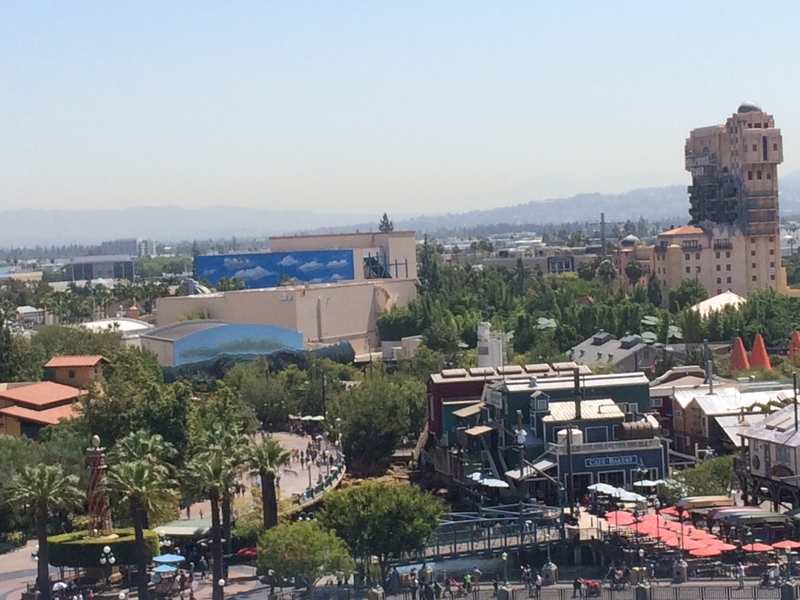 Tower of Terror is going to look so weird when it reopens later this year. California Screamin' is surprisingly hard to photograph from the ground. The coaster runs right up next to the path and over buildings which obstruct a lot of shots. 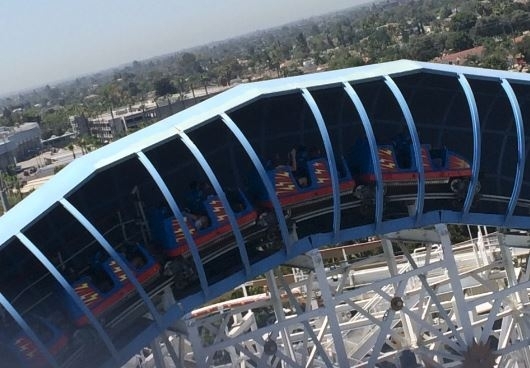 I don't seem to see any hair time here, though this ride legitimately does have some airtime. Winter's a good time to stay in and cuddle. But put me in summer and I'll be a...happy snowman. Yup he does look happy. 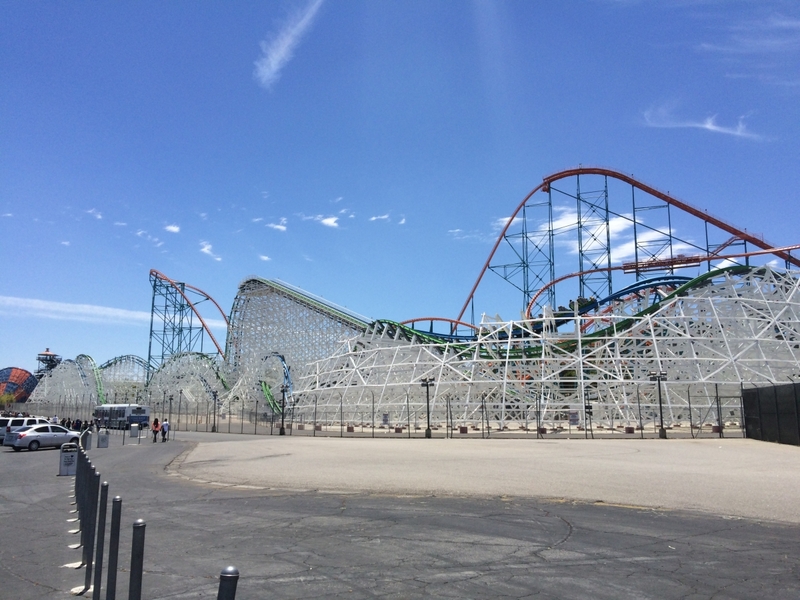 Considered the flagship park of Six Flags, Magic Mountain was a definite on my return trip to California. 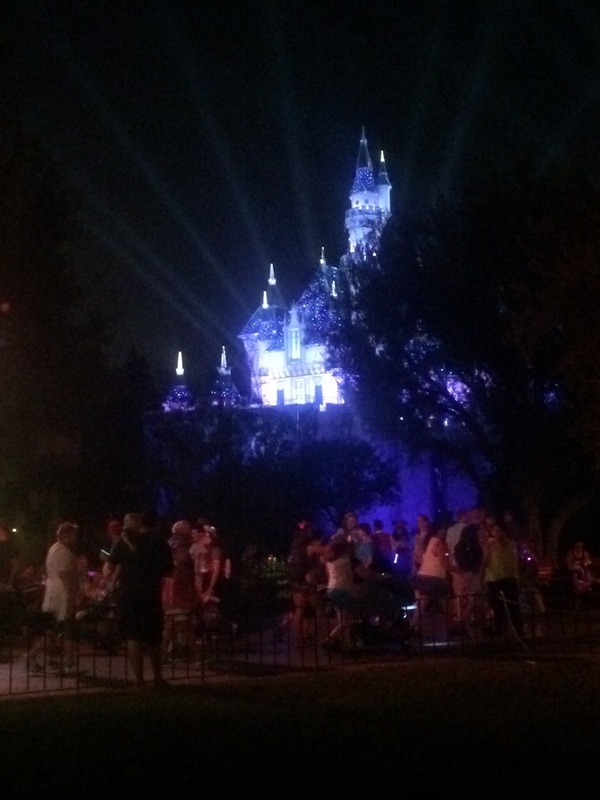 I had a pleasant, albeit short, visit in 2014 due to the park having reduced hours on a May weekday. This time, I was there on a Saturday in June so I had a full day to ride everything. A Saturday in June was also more crowded than my first visit, which is why I splurged for a Flash Pass and it definitely came in handy. I just wasn't a fan of how the park made X2 an extra upcharge and only allowed 1 ride each on YOLOcoaster and Twisted Colossus. 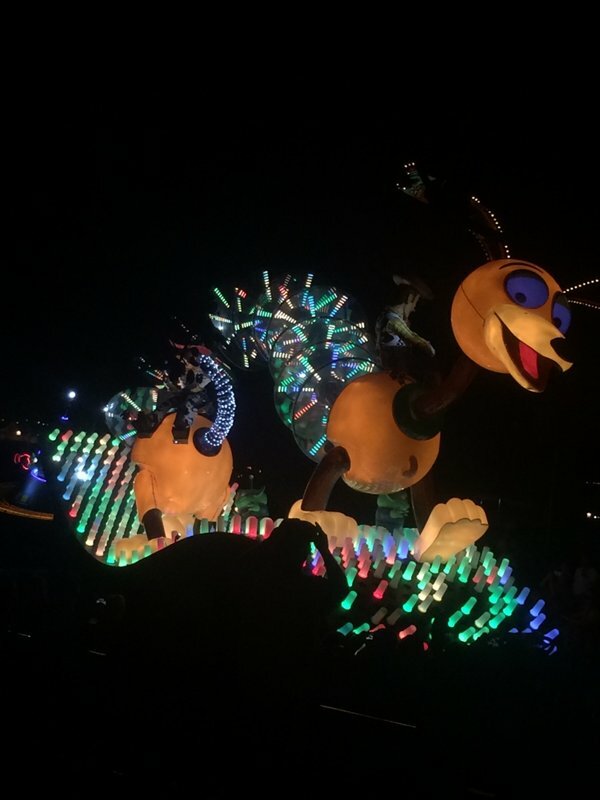 As mentioned in the Disneyland reports, the weather was over 100. 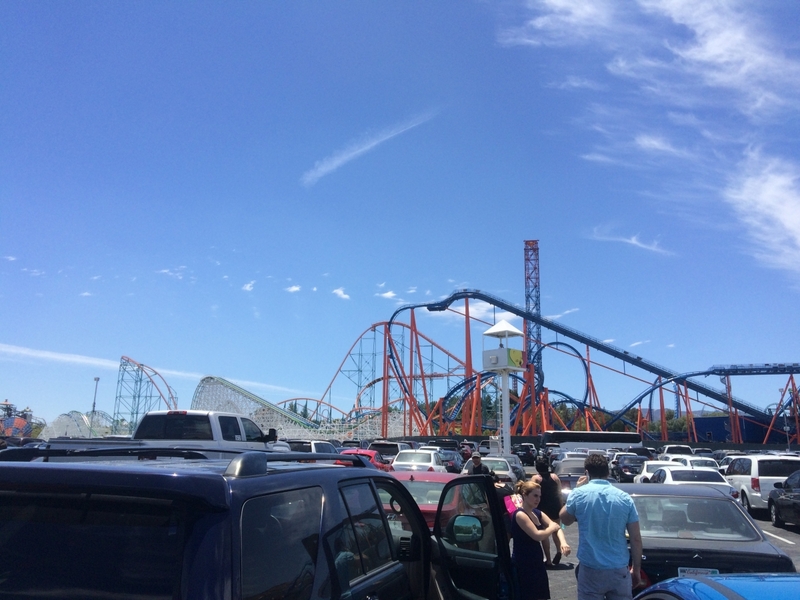 Magic Mountain already is a pretty grueling park to get around, so the heat certainly didn't help. Despite the heat, I was able to have a good time and added a few new coaster credits along the way. The only bummer of the day was the RMC Recall of June 2016. 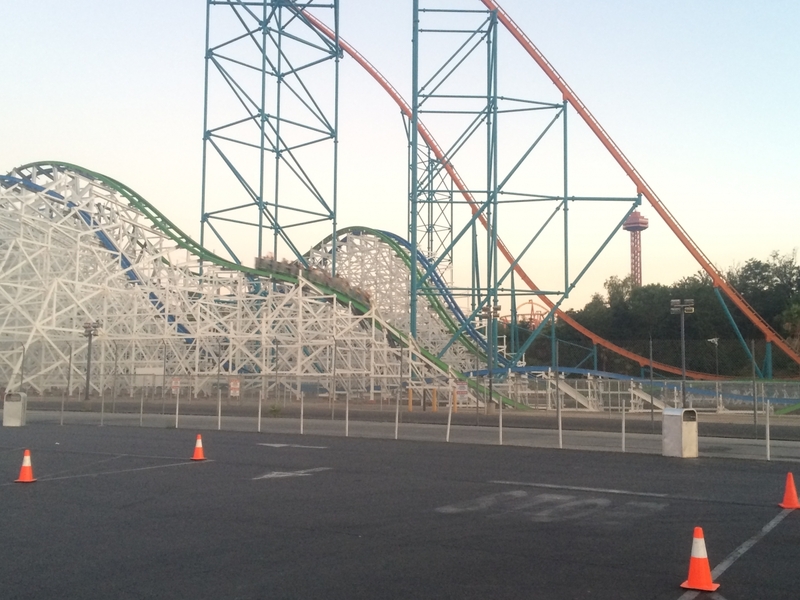 After I got my one and only ride on Twisted Colossus, the ride was closed. Originally I thought it was the standard Six Flags temporary shut down, but I saw on the forums here that there was a recall of RMC parts. This kept the ride closed for a good chunk of the day. I only saw that it had reopened after I got back to my car in the parking lot. 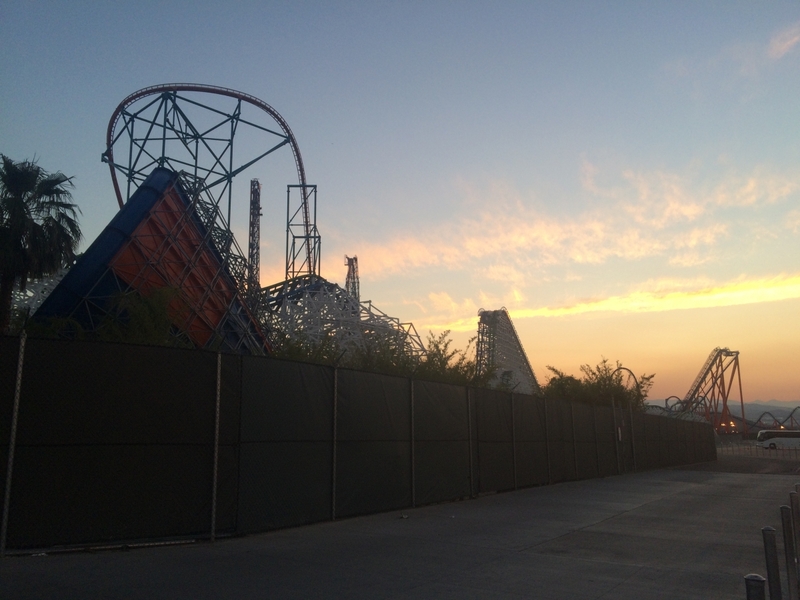 A view that'll make all but Cedar Point fanboys cream. I'm going to apologize for the lack of photos inside the park; I was too busy riding. Twisted Colossus was the highlight of my trip and as evidenced by my signature, it delivered. Alan Schilke is a mad genius. I only got one ride due to the RMC recall panic of June 18, 2016 but it sure was amazing. I made sure to photograph the water park too. A rare photo inside the park! I actually got a good ride on Riddler's Revenge this year! 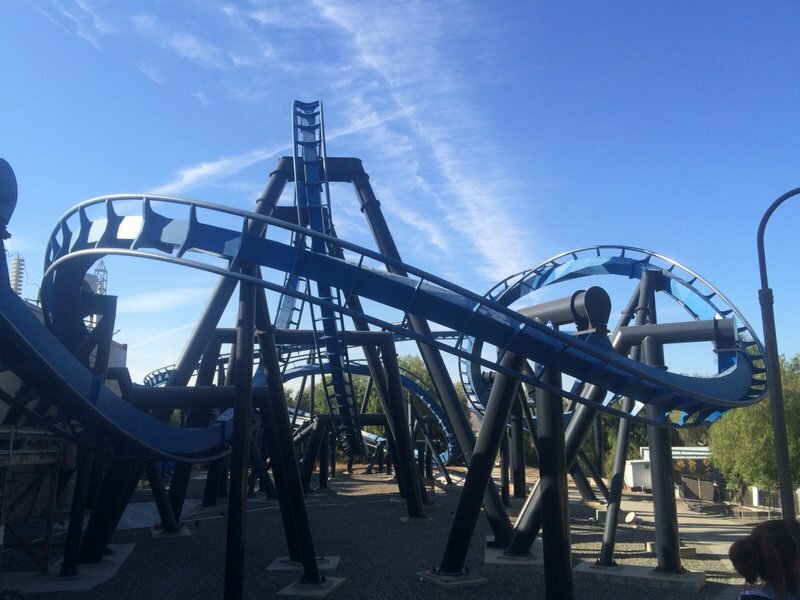 Batman was also new for me since it was closed in 2014. Great as always. Twisted Colossus is a very good coaster when it doesn't duel, and a great one when it does. Last edited by cfc on Thu Mar 09, 2017 5:50 am. Great updates! I really need to get back to the SoCal parks. Timely post as I'll be visiting Magic Mountain in a little over a week for the first time in 17 years! Great to read about the park and what you liked or didn't like. I didn't realize that only some of the rides allow re-rides even with a Flash Pass. That's kind of a bummer. Glad you had a good time! I loved that stage. I'd always make the most unrealistic hyper/gigacoasters over the mountain. cfc wrote: Twisted Colossus is a very good coaster when it doesn't duel, and a great one when it does. 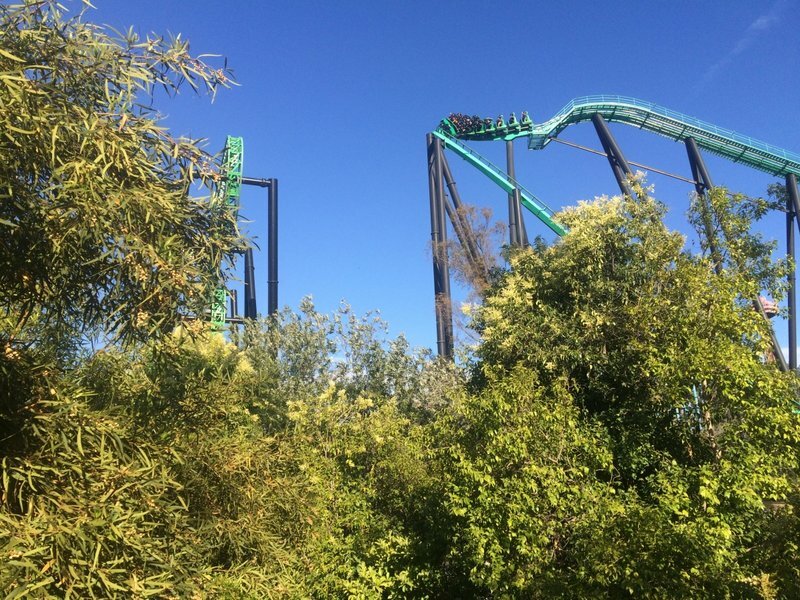 coasterbill wrote: Great updates! I really need to get back to the SoCal parks. 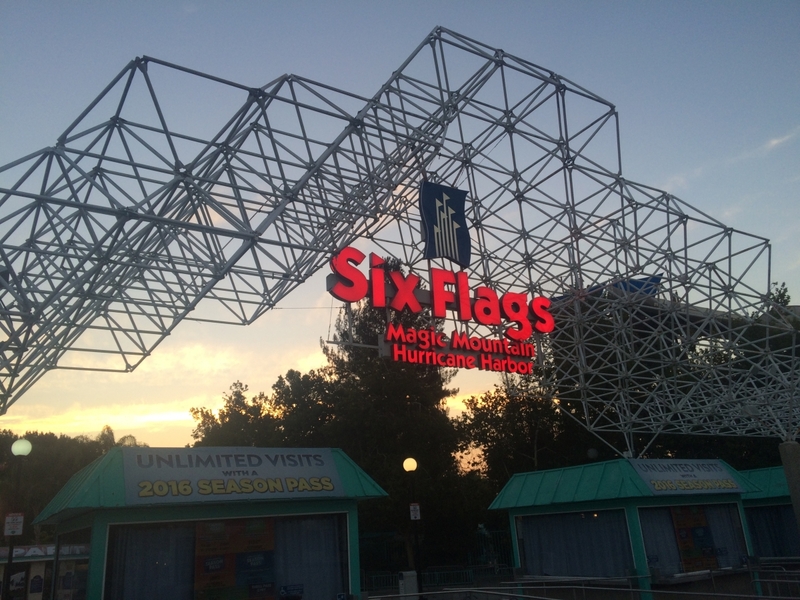 Disneyland & Six Flags Magic Mountain are one of the best 1-2 punches since you get one of the top themed parks with one of the top thrill parks. 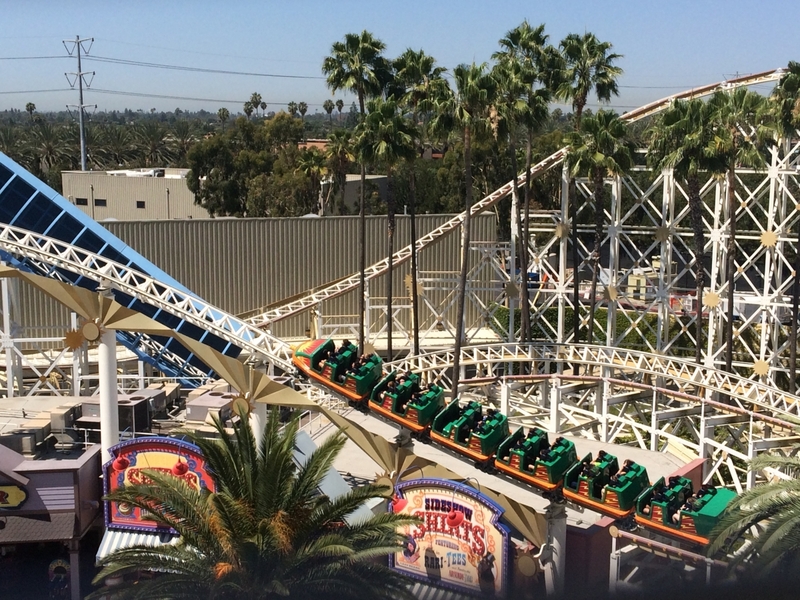 Then there's Knott's which takes the middle ground. 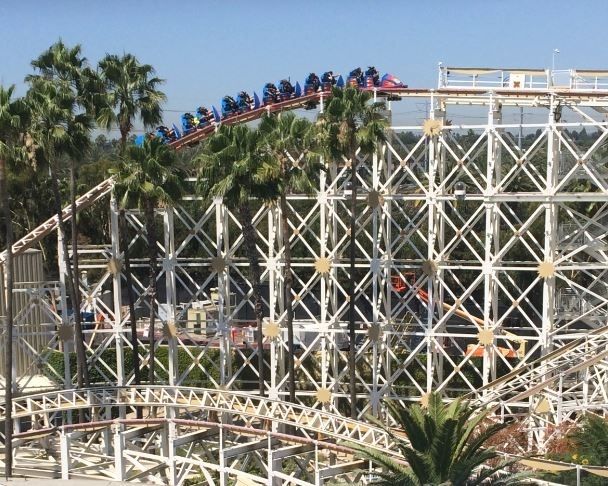 TBpony414 wrote: Timely post as I'll be visiting Magic Mountain in a little over a week for the first time in 17 years! Great to read about the park and what you liked or didn't like. I didn't realize that only some of the rides allow re-rides even with a Flash Pass. That's kind of a bummer. Glad you had a good time! Hope you enjoy it! 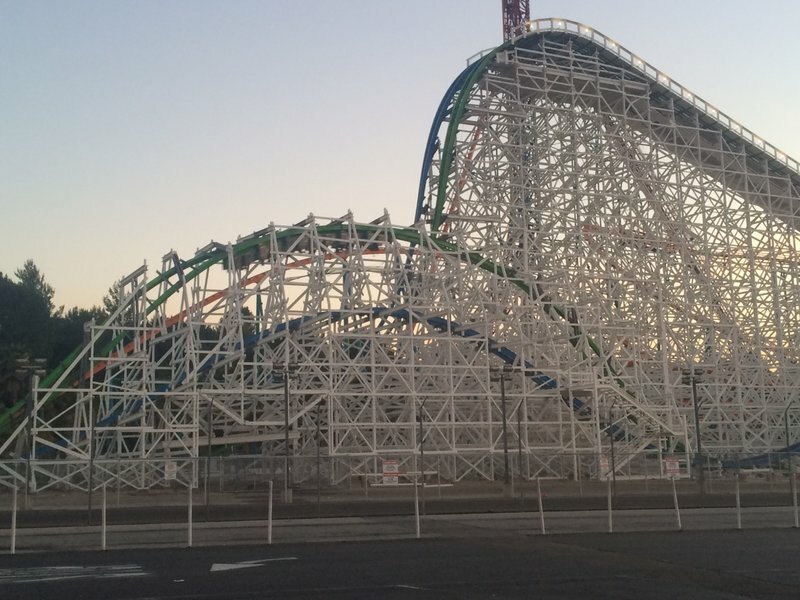 Yeah I was shocked that on any level, you could only ride Twisted Colossus or YOLOcoaster once. It's a shame since they're two of the park's best coasters.